The antimicrobial stewardship pharmacist job market is looking better for job seekers, but the mix of positions and various unknowns can make the search for a position a major challenge. Here, a pharmacist going through the process of finding a stewardship pharmacist job discusses the topic. Pharmacists looking to land an antimicrobial stewardship (AMS) job are in a unique position today, where a demand for stewardship-trained pharmacists looks to be outweighing the supply. This is a situation that was previously predicted . A sudden influx of AMS pharmacist jobs is likely related to the new Joint Commission standard on AMS and the anticipated Centers for Medicaid and Medicare Services AMS requirement for hospitals (which suggest 0.25 AMS pharmacist FTEs per 124 beds ). With the abundance of positions available, many considerations arise in deciding on a job. The purpose of this article is to review several considerations for evaluation when choosing among AMS positions. Following the recommendations of the businessman and writer Stephen Covey in The 7 Habits of Highly Effective People, you should begin with the end in mind. Covey suggests that you should align your pursuits (in this case the AMS position of desire) with your personal goals and values. He continues that to achieve this, you should write a mission statement, an essential activity that has been reviewed on this site previously . Writing your mission statement allows you to evaluate if potential jobs and culture align with what is right for you. After defining your values and goals through drafting a personal mission statement, it is important to characterize what type of stewardship pharmacist job you would be interested in, so that you might narrow down your choices. With the expansion of stewardship to all acute care facilities, there are a multitude of heterogeneous AMS pharmacist position types which invariably result in different opportunities and challenges. While the majority of large academic centers have established programs, many small community hospitals with as few as 100 beds are recruiting for a full AMS pharmacist FTE. It is important to consider the difference in patient mix at these smaller facilities and that often these smaller hospital positions include other responsibilities that may extend beyond stewardship due to the limited resources within the facility. Another consideration is stewardship positions in teaching vs non-teaching hospitals as the former would have providers regularly change and thus require regular repeated education both formally and through prospective audit and feedback. Other posted positions have included infectious disease consult responsibilities along with daily stewardship tasks, which would yield variety, but may also provide a challenging workload. Finally, a new type of stewardship pharmacist job that has emerged is community outreach stewardship positions. These are a newer type of position that many larger academic medical centers (e.g. Duke, The Ohio State, Johns Hopkins) have created to serve smaller community hospitals without AMS resources. While some of these positions allow for active prospective audit and feedback opportunities, others may have the AMS pharmacist function as a clinical manager helping others develop their AMS programs and may lack the opportunity for direct patient care activities. Once you have selected which programs align with your values and goals on paper and are invited for an interview, it is time to elicit specifics on the fine details of these programs. Specifically, it is pragmatic to start with management and C-suite expectations of the AMS program and your role in managing it. It is important to ask how will the performance of the program be measured and how will your personal success as an individual in the program be measured. 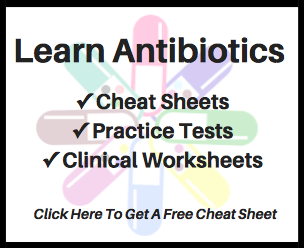 The answers to these questions can provide valuable insight as if the goal of management is to indiscriminately decrease antibiotic expenditures and not focus on quality of patient care, then conflicts in the priority of your efforts may arise. As the metrics of stewardship slowly shift from antibiotic usage of defined daily doses (DDDs) or days of therapy (DOTs) to quality and outcome measures (McGowan 2012, Barlam 2016), it is important to evaluate if the management is receptive of this paradigm shift as ultimately our commitment as clinicians is to improving patients’ outcomes [4,5]. If management is not receptive, job burnout may be inevitable. Does the physician champion regularly review the literature and therefore is seen as a source of reliable knowledge and best practices? Does the physician champion have an assertive personality that will be effective at having tough conversations on patient level interventions or institutional level committee proceedings? Is there a microbiologist and will they be willing to collaborate on optimizing microbiology processes for improving antibiotic use? How available and timely does the information technology group appear to be for completing AMS program tasks such as data mining and electronic health record modifications? Are clinical decision support systems (e.g., Theradoc) available to increase efficiency of routine stewardship activities? Finally, after vetting out the fine details of the position, you will be able to return to your mission statement to evaluate the alignment of the position to your personal goals and values. Would you be able to pursue your goals? Does the culture of patient care align with your values? Do you see the opportunity for personal and professional growth within this position? While financial compensation and benefits are essential to personal security, the fit of the position with your personal mission is ultimately what will determine your long-term success. 1. Gauthier TP, et al. Clinical infectious diseases pharmacists in the United States: a problem of both supply and demand. Clinical Infectious Diseases. 2015; 60 (5): 826-827. 2. Thompson CA. Pharmacy News: Antimicrobial stewardship in hospitals to become national requirement. Available at: http://www.ashp.org/menu/News/PharmacyNews/NewsArticle.aspx?id=4352. Accessed March 2017. 3. Gauthier TP. Writing A Personal Mission Statement. Available at: https://www.idstewardship.com/writing-personal-mission-statement. Accessed March 2017. 4. McGowan JE. Antimicrobial stewardship–the state of the art in 2011: focus on outcome and methods. Infection Control And Hospital Epidemiology. 2012; 33(4): 331-7. 5. Barlam TF, et al. Implementing an Antibiotic Stewardship Program: Guidelines by the Infectious Diseases Society of America and the Society for Healthcare Epidemiology of America. Clinical Infectious Diseases. 2016; 62(10): e51-e77.